Under Florida law, a Violation of Probation (VOP) occurs when a criminal defendant violates the terms of their probationary punishment. 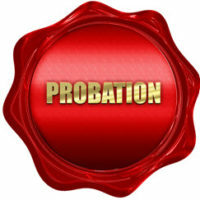 An accusation that you have violated your probation must always be taken seriously. Those who are found in violation may potentially face some very stiff penalties. Indeed, depending on the terms of your probation and the nature of your violation, you could even end up getting re-arrested and you may lose your freedom. If you have any questions or concerns about probation violations, please speak to an experienced Tampa defense lawyer today. Missing an appointment with a probation officer without a valid excuse. To be convicted in an initial criminal case, a defendant must be found guilty ‘beyond a reasonable doubt’. This is a relatively high burden for state prosecutors to meet. However, this standard does not apply to violation of probation cases. Instead, VOP cases are governed by a much less stringent ‘preponderance of the evidence’ standard. Under preponderance of the evidence rules, a Florida prosecutor must only prove that you more likely than not violated your probation. If there is a 51 percent likelihood that you are guilty of the violation, you can be found guilty. Due to the fact that the standard of proof is so much lower, legal representation becomes critically important in VOP cases. The state of Florida gives trial courts broad discretion to determine the appropriate punishment in a violation of probation case. For those who have been accused, this level of court discretion comes with both an upside and a downside. On the one hand, it allows the accused to explain to the court the circumstances of the violation and also to offer an explanation as to why the revocation of probation would be inappropriate. This means that a Tampa defense attorney may be able to help stop your probation from getting revoked. However, on the other hand, the broad court discretion does also allow courts to revoke probation for relatively minor violations. If you have been accused of violating probation in Florida, you need to take immediate action. Please contact the aggressive criminal defense lawyers at Pawlowski//Mastrilli Law Group today. Our team will review your case free of charge and determine exactly what needs to be done to protect your rights and your freedom. We serve clients throughout the Tampa region, including in Thonotosassa, Lithia, Durant, Apollo Beach, Balm and Sun City Center.